My name is Richard Hill and I have worked for HM Revenue & Customs for over 40 years. If you say it quickly, it doesn't sound so long! I've had many roles, from visiting businesses to planning and project management. I even appeared on Crimewatch Special once - It's a long story! Six months ago, I was seconded to Civil Service Local in South West & Wales as the Community Engagement Manager. This role was a dream come true for me. I have always had a passion for helping those on the edges of society, like the homeless and ex-offenders. I'm determined to help them gain their independence, dignity, confidence and self esteem. I'm particularly keen to help them into employment. The culture of the Civil Service has allowed me to encourage others to directly get involved with projects. I make no bones about linking volunteering into the mantra of 'what's in it for me'. It's not an easy nut to crack, but it can be done. In the last couple of years I have got Senior Management teams in HMRC involved in job coaching and as Business Volunteers in the West Midlands. I also set up a cross-Civil Service Secret Santa to help the homeless in the West Midlands (and further afield). It made a real difference to the lives of those on the streets, and it also encouraged HMRC teams to look for volunteering opportunities themselves. One manager even used volunteer team building exercise he'd been on as an example on a job application. She got top marks for that competency! In the 9 months before my move to Civil Service Local, I set up a programme of mock interviews for Crisis clients in Birmingham and Coventry. These have gone down a storm and I've passed on the organisation to 2 colleagues as development programmes. So the opportunity to take up the role of Community Engagement Manager for the South West & Wales was ideal. There was 1 small problem, I live over 100 miles away so I have had to be pretty creative in getting things going! As a start, I thought it would be a good idea to offer mock interviews to homeless clients of St Mungo's in Bristol. The dilemma was finding enough volunteers across the Civil Service. I made a couple of adverts asking if people would they like to see a job interview from the other side of the table? This was the hook and over 100 people came forward. The first session was in October 2014 and the feedback was fantastic. One 'candidate' used the experience to get a job a week later! 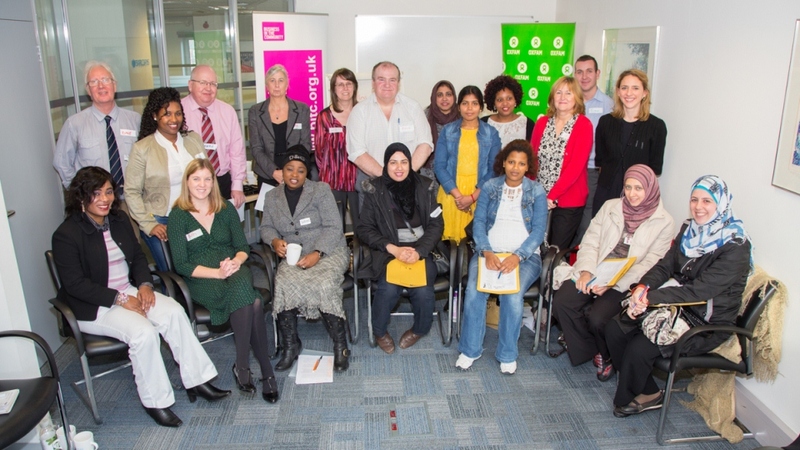 In Wales, I worked with Business in The Community and Oxfam Cymru on a programme to help female refugees improve their employability skills. I bumped into a colleague who said his manager had asked him to be more challenging so he decided to take part. This was mind blowing for him and he recognised the difference volunteering could make to his team. He said "... managers (need to) understand this isn’t a kind of soft option or ‘nice to have’ extra. In fact it's deadly serious for improving the prospects of the people involved and there is nothing comfortable or easy about some of the conversations that I saw happening. It actually provides some real challenges and genuine personal development. I manage a small team of relatively senior grades and I'll be encouraging them as part of their developmental reviews to get involved." We've gone onto having further events in Bristol for under-achieving students and I'm planning further interviews in Bristol, Plymouth, Exeter, Bournemouth, Gloucester and Wrexham. It's not all plain sailing. Working with those on the edge of society is hard work and reliability is not the norm. I'm now working on a pre-mock interview training session to help people take that extra step into work. It'll be interesting to see how this goes. 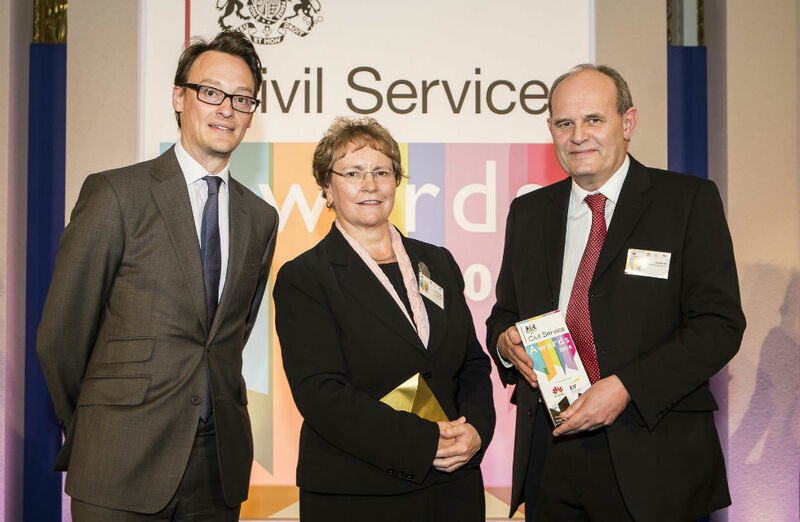 This year I won the Civil Service Volunteer of the Year for 2014. Interest in my award has spread and I have started some early conversations with civil servants across the country to set up similar mock interview type programmes. One of the biggest frustrations I face is the lack of consistency by departments and teams to volunteering. Each department has its own rules and guidance which is rather annoying when you want civil servants to work together. It's not insurmountable, it just could be better and more effective. I have just over 6 months left on my current secondment. My personal challenge is to get up to 1000 civil servants directly involved in volunteering across the country by Autumn of 2015. I will keep you posted on how I get on!